"World's Best Selling Hot Tub/Spa Pads"
Over 50,000 EZ Pads Sold! EZ Pads can be installed in winter with just a flat, level base. Pea gravel can be used to make a level location. No concrete is needed! The fastest and easiest to assemble & install hot tub/spa base foundation. 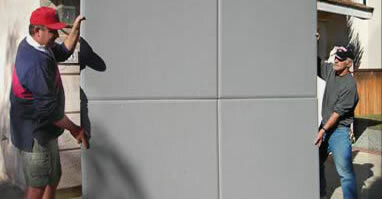 See a side-by-side comparison to concrete and our nearest competitor, the Handi Pad. Our FAQs page answers many questions our customers often ask. 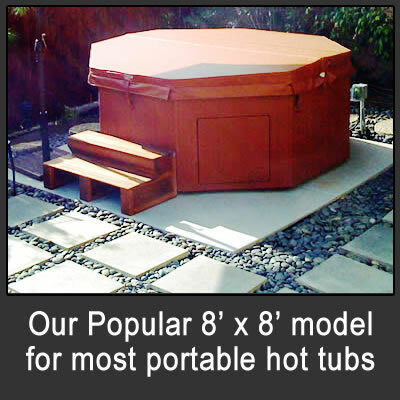 America's #1 Award Winning Hot Tub Installation Pad in Three Convenient Sizes! America's #1 Hot Tub Pad Gets Rave Reviews! See photos and testimonials from real customers that trust EZ Pads. The EZ Pad hot tub/spa pad provides a solid level foundation base that evenly distributes the weight of the hot tub, required for warranty compliance and for optimal performance of the jets and filtration system. Whether your dealer calls it a spa pad, hot tub pad, foundation pad, or base pad he's describing the EZ Pad. EZ Pads are perfect for hot tub installations, portable spa installations, and as an inexpensive platform deck for swim spas. All that is necessary to install the EZ Pad is a level well-drained area. 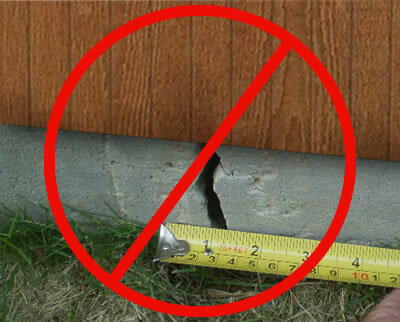 No concrete is required! And, because the EZ Pad is portable and movable it does not require a permit for placement. Installing a new hot tub or spa on concrete can be stressful, time consuming and costly when you are coordinating contractor bids, permit applications, site access details and inspections. And weather delays can complicate the entire process even more. EZ Pads make your hot tub or spa installation an EASY and satisfying experience. Your project can be done right, on time, and below budget with a minimum of effort and expense. Unlike the contractor route, you control the process. Ships Fast via FedEx Ground. The Highest Quality, Best Engineered Spa Pads Available - Made in the United States! 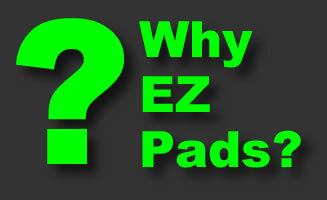 EZ Pads offer a superior product and unmatched customer support. Convenience and savings make the EZ Pad THE innovative budget-minded solution for all spa, hot tub and swim spa installations. EZ Pads Inc.is the recognized leader in quality pre-fabricated hot tub pads and spa pads. Manufactured in compliance with ISO Quality Standards, Award Winning EZ Pads are a proven alternative to concrete or decking for portable hot tub and spa installations. EZ Pads replace concrete foundations or slabs, and serve as an economical base for most hot tubs and spas. EZ Pads are extremely durable and backed by a lifetime guarantee. Major manufacturer’s dealers using EZ Pads include: Hot Spring Spas, Jacuzzi Spas, Dimension One Spas, Caldera Spas, Sundance Spas, Marquis Spas, Master Spas, Thermo Spas, Cal Spas, Leisure Bay Spas, Maxx Spas, and many more.